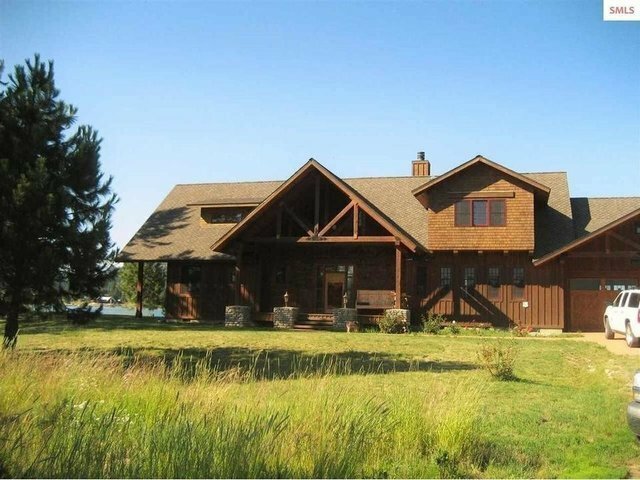 Beautiful 5 bed/4 bath home located in a prime location along the shores of the Pend Oreille River. Inside this home you will find many windows that provide an abundance of natural light, granite counters, cozy wood burning fireplace, and a spacious layout great for entertaining guests. Master En-Suite consists of pine tongue and groove walls, river views, spacious layout, and en-suite bath complete with a claw foot bathtub and custom tile. This one of a kind property has breathtaking views across the Pend Oreille River and surrounding mountains. With approximately 450 feet of private shoreline, expansive private dock, full tennis court, and a spacious 4,149 sqft home this property is truly a rare find.